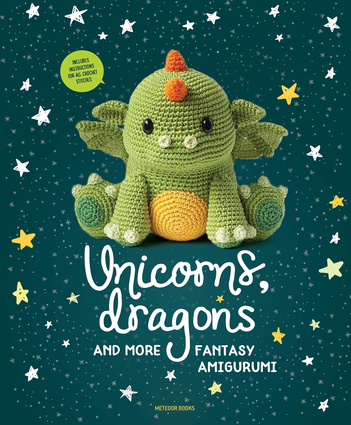 Whip out your crochet hook and summon your coziest chair: the crochet spells in this brand-new collection will work their magic to bring 14 fantastical amigurumi to life! The cute creatures in this magical world will charm you all. Go for a swim with the mermaids and nymphs, go Nessie-spotting and dragon hunting and follow the fairies and unicorns on a walk through the forest. And there's much more waiting for you at the end of the rainbow! Beginners as well as advanced crocheters can conjure up these adorable fantasy creatures with a flick of their hooks. All patterns are accompanied by easy-to-follow instructions as well as explanations of all stitches used, and are easily customizable, so it's a small step to imagine your very own fantasy amigurumi!